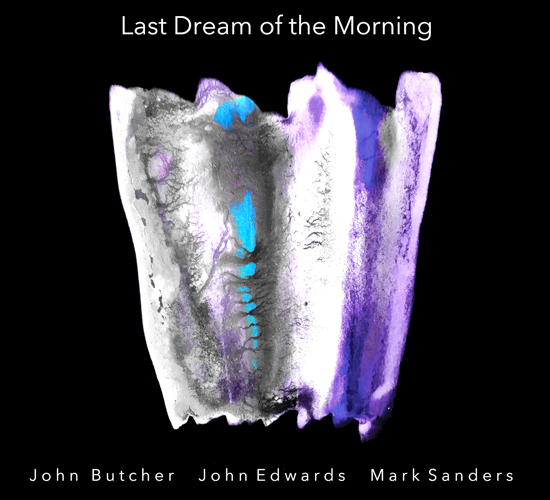 Three recent albums of British great sax player John Butcher that stress the breadth, resourcefulness and imaginative scope of his sonic vocabulary and improvisational strategies. Butcher has played only twice before with Japanese guitarist-vocalist-multi-instrumentalist Keiji Haino, both times in 2016. 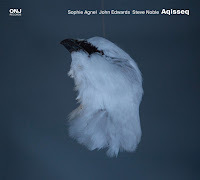 In July of that year, the first time was at the Empty Gallery in Hong Kong and the second time at Cafe Oto in London, the second which was captured in this recording. Haino and Butcher met five years ago when Butcher opened for Haino’s group Fushitsusha at Cafe OTO. 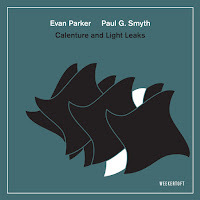 Both are innovative improvisers have much in common, expanding the vocabularies and the sonic scopes of their respective instruments beyond any conventions of genre or style, and in a completely personal and uncompromising manners. Each of the five explorations on Light Never Bright Enough creates a distinct atmosphere. The first one searches for common ground through brief, thorny guitar lines and clear, short sax blows. 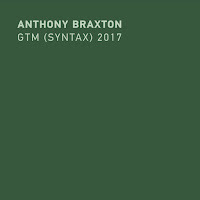 On the second piece, they sketch out a poetic texture that alternates between Butcher’s warm, melodic lines and Haino’s precise-percussive punctuation of these lines. This collaboration eventually leads Butcher to experiment with feedback noises and humming overtones that match the disruptive guitar. The third 18-minute piece is the most complex and tense one. Both Butcher and Haino wander freely through different, compelling sonic universes, often colliding ones. Butcher explores a dense string of multiphonics and resonating sounds while Haino methodically fortifies his metallic walls of sounds. Eventually these alien universes blend into a quiet, gentle ritual coda. The fourth piece begins with Haino improvising a folksy theme on a flute, answered by Butcher’s playful and colorful bird calls, immediately reciprocated by childish, electronic sounds from Haino. The last 17-minute piece is the most enigmatic and poetic one. 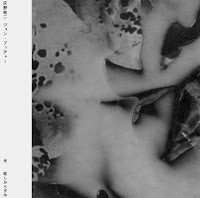 It develops from Haino’s quiet and vulnerable wordless vocalizations and the distant feedback noises of Butcher. 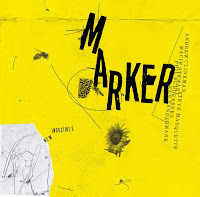 Slowly, it shapes as a kind of a secular, abstract plea, bringing together seemingly weird, threatening sounds - Haino’s explosive feedbacks and disturbing drones crisscrossed by Burcher’s sax flights - still, both determined to set a compatible, compassionate meeting point throughout these unwinding sonic collisions. Butcher has worked extensively, and in many contexts, with double bassist John Edwards, most often as a duo over the last twenty years, and a bit less frequently with drummer Mark Sanders (check their duo album, Daylight, Emanem, 2012). Edwards and Sanders are, obviously, an ace rhythm section that have served many great improvisers such as reeds players Evan Parker, Tony Bevan, Dunmall, Frode Gjerstad, and pianists John Tilbury and Veryan Weston. 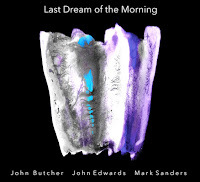 Fortunately, and finely, Last Dream Of The Morning is the first recording of Butcher, Edwards, and Sanders together, captured at The Fish Factory studio in Willesden during November 2016. Naturally, the chemistry between these master improvisers, with such long-term relationships, is immediate and profound, but it is also clear that the trio is not going to rely only on close affinities. All three musicians draw upon their experiences to let the music flow. Simultaneously, the trio operates as a vigorous, tight unit and on complete, parallel courses, they explore new dynamics and textures and keep challenging and surprising themselves without losing focus, cohesion, or tension. The longest pieces “Sand Dance” and “Gridlocks” present this trio's rich arsenal of improving strategies. They shape, shift and morph their interplay in an instant and organic manner, building layers upon layers of shifting rhythmic patterns. They fly from high turbulent skies into sparse abstract atmospheres, search for weird, alien yet engaging sounds, and always sound eager to take it as far as they can possible go. Butcher has performed in recent years few times in a trio with double bass player Dominic Lash and guitarist John Russell. This trio became a quartet in 2015 with the addition of Norwegian drummer-percussionist Ståle Liavik Solberg and began calling itself Stray. Solberg began playing in a duo with Butcher and recorded So Beautiful, It Starts To Rain (Clean Feed, 2016), and he also plays regularly with Russell in both a duo and in a quartet with double bass player John Edwards and pianist-electronics player Steve Beresford (check out Will it Float on VaFongool). 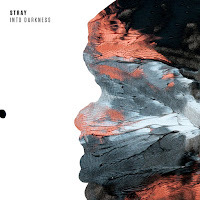 Into Darkness is Stray's debut album, recorded at Iklektik, London, in December 2015 and it features one, intense, 51-minutes free-improvisation. Stray wastes no time before entering an uncompromising, restless mode that leads the quartet into endlessly uncharted, labyrinthine territories, forcing all to shift and adapt strategies constantly. 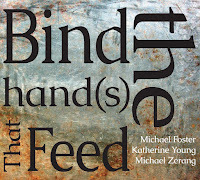 At first Stray sounds as if they are enjoying a non-hierarchical, muscular-propulsive free jazz moment, but then Russell’s distorted-noisy guitar interventions lead to more open and abstract textures, shifting the dense and intense interplay into contemplative, free-associative ones that stress Butcher's most lyrical and engaging side. Later, Russell and Butcher sketch a minimalist, poetic dance that occasionally boils to some explosive eruptions, but soon cools down into another series of fragmented and searching interplay. Finally, Russell leads Stray to an electric, stormy conclusion that propels everyone's sense of sonic invention and draws on ever deeper reservoirs of energy. I very much enjoyed reading these reviews, thanks. Each describes the music in a very tangible fashion and left me wanting to hear all of them. Some fine writing.